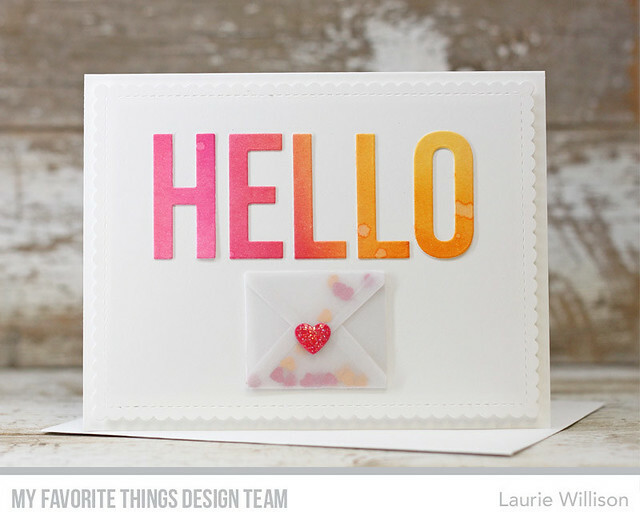 Beautiful watercoloring on the alphas and I love your sparkly heart on the vellum envelope! Such a lovely card, Laurie! Super cute card! I love the water coloring! Beautiful. I love the watercolors that you used. Love the surprise in the envelope. Great work. Laurie, this has your lovely self written all over it... gorgeous!!! I'm feeling a CASE coming on! 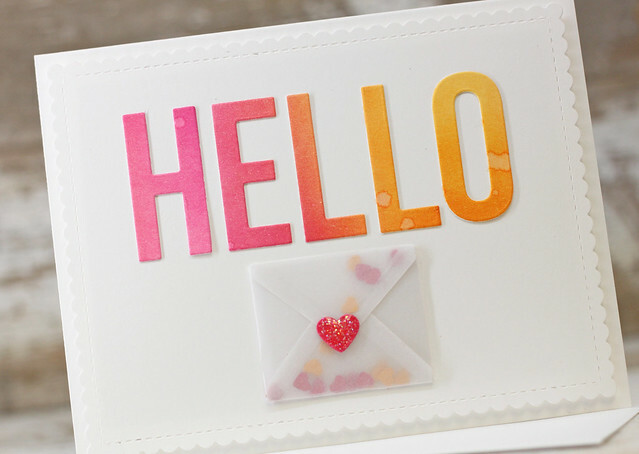 That teeny envelope is adorable! This is cute Laurie!